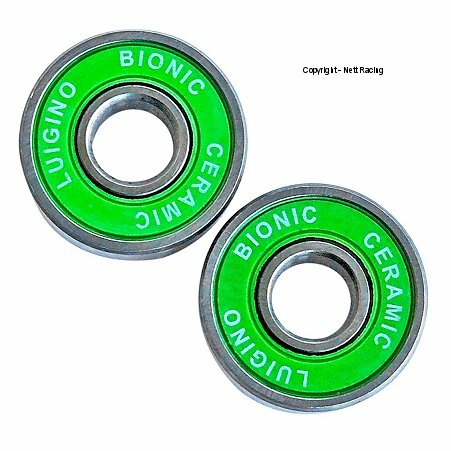 Bionic Ceramic Bearings are made for skaters looking for "ELITE" level speed but at a recreational price! 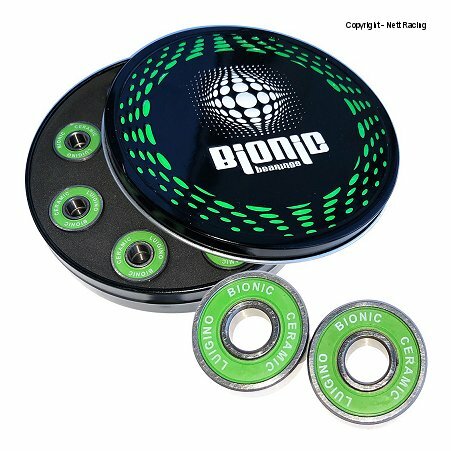 Designed to meet the harsh demands skaters require, the Bionic Ceramic bearings are sure to NOT DISAPPOINT! Bionic CERAMIC Bearings, High grade black ceramic balls, Double honed inner and outer races, Nylon cage (retainer), Bionic light oil (included).